Since a young age, Kira's fostered a natural inclination for all things art and design. Then one day, she stumbled into the wide world of web development and all heck broke loose. 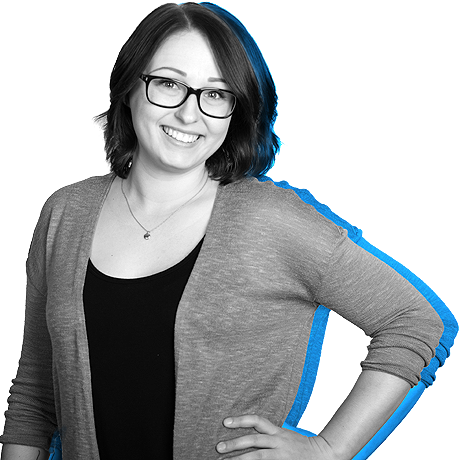 As one of our Web Developers, she's a bit of a do it all, focusing where dev meets design to create an even better user experience. She's worked in nearly every aspect of design, marketing, and branding including in-house, freelance, and agency. She gets better by thinking like both a human and a machine and weaving the two perspectives together everyday at work. Not one to be idle, Kira took on the life-changing feat of first time homeownership and blogs about its progression here and lives in Green Bay with her daughters, Elsie and Norah.